Flip flops…what’s there to say? They’re some of the most quintessential shoes for summer. They’re easy on, easy off, and perfect for running down to the beach or the pool. And much like Pringles, you can’t just have one. 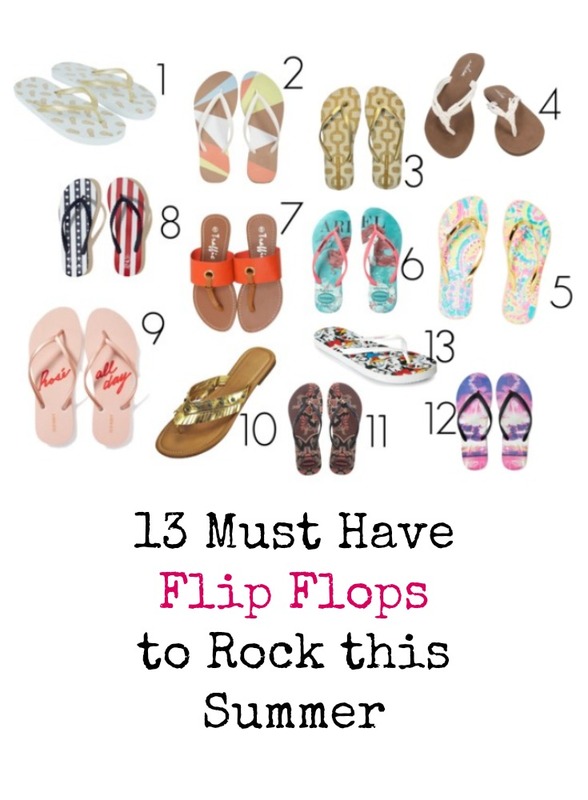 Nope, you need a whole lotta flip flops. But it’s okay, because they’re not usually too expensive. We’ve gathered up 13 pairs of really fun flip flops that are perfect for summer. Most are under $25, with many being under $10. You can’t beat that, can ya? Links may be affiliate links. 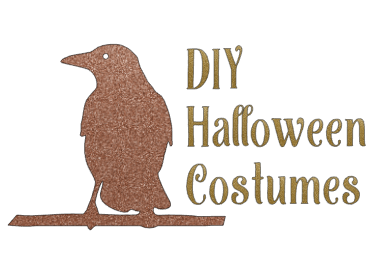 We make a few cents if you purchase through our link, but you don’t pay any more! 1 Pineapple Flip Flops ($16) – These are so on trend. Light aqua with metallic gold pineapples. Heck yeah! 2 Reef Escape Sandals ($24) – Reef are one of the classic surf brands, and I grew up wearing these. They’re comfy and last nicely. Shown in Tan Geo, there’s 8 other colors and patterns available at that link. 4 Volcom Have Fun Flip Flop ($24) – These are for those days that you want something that’s a little more shoe like. Maybe to lunch or running errands. Cute synthetic leather macrame straps add a little touch of upscale without the price. Available in 4 great colors, too. 5 Lilly Pulitzer Pool Flip Flops ($38) – We all know an love Lilly Pulitzer and her vivid, tropical prints. This color is called “Multi Come Out of Your Shell” and has mirror gold straps. So fab! 6 Havianas Ariel Flip Flops ($21) – Yep, you read that right. ARIEL FLIP FLOPS. Get them! 7 Orange Circle Thong Sandals (sold out) – The ones shown are sold out, but these are really similar for $10! 8 Hollister Flag Flip Flops ($4) – These are super cute, and perfect for summer. 9 Old Navy ‘Rose All Day’ Flip Flops ($4) – Rose is one of the biggest trends of the summer. Let everyone know where you stand. They also have some really adorable Flamingo flip flops at the same link. 10 Metallic Bohemian Sandal with Fringe ($24) – Sometimes, you just need a little something more than a rubber flip flop. These are great for a lunch or dinner date, or even a vacation getaway. Available in gold or silver. 11 Havaianas Black & Grey Embellished Thematic Flip Flop ($34) – These are comfy and cushy, and have a tiny bit of bling. These also have a bit of a wedge heel. 12 Aeropostale Hawaiian Sunset Flip Flops ($4) – I am loving these fun patterned flip flops. It’s like a little secret surprise when you kick ’em off. 13 Disney Mickey and Friends Flip Flops ($8) – Who doesn’t love Mickey Mouse? And at this price, it just can’t be beat! 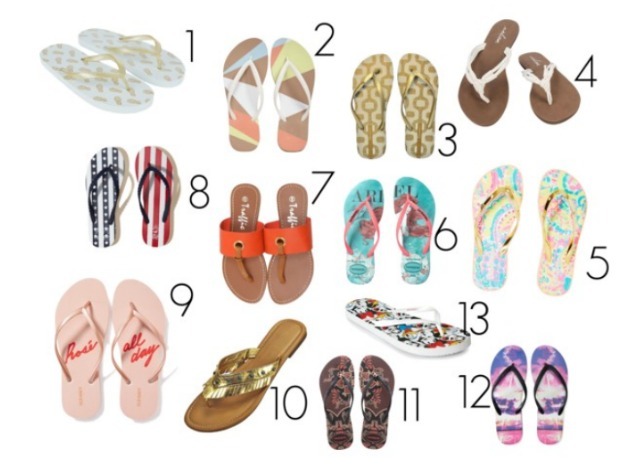 Which of these flip flop styles are your favorites?